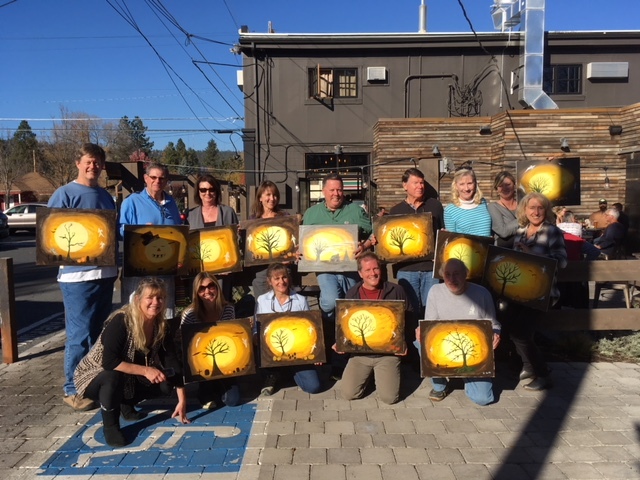 While teaching at Central Oregon Community College in January 2016, I flashed on the idea of a business that would serve the creative needs and drives of people all ages in a “rush rush” world and began “Traveling Canvas Parties”. Friends, family and community have been so supportive of our social and artistic endeavors. With all the “busy-ness” of today our fun-time, down-time, up-time…Make some Art Time! It satisfies our human hunger for self-expressiveness! 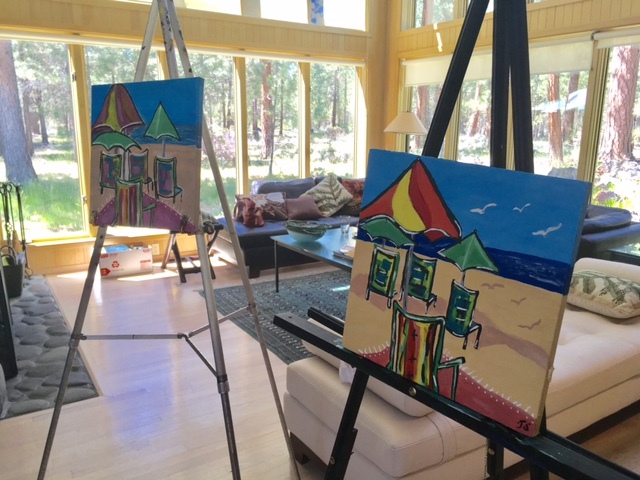 Check out the paintings on the home page and book a party! be sure to check out the “Upcoming Events” page! Let’s paint!